Nestled in the foothills of North Carolina, Charlotte offers the best mix of an emerging city: economic vitality, opportunity and culture. The region is sonorous with history, culture and tradition—yet young, exuberant, constantly-changing. Charlotte embraces its newcomers with traditional Southern hospitality! If you're looking to buy in North Carolina, you must check out the state's most beautiful city--also the largest in the state. Visit www.SearchCharlotteHomesForSale.com for more information on this wonderful North Carolina City. Search Charlotte's most popular home search tool at www.AtHomesCharlotte.com. Give us a call--we're happy to help--and give you the grand tour of our lovely city! 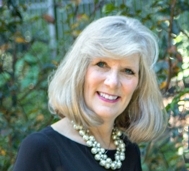 Debe Maxwell, ABR is a Charlotte Residential Real Estate Broker, Certified Neighborhood and Relocation Specialist who can assist you with the purchase and/or sale of real estate in Charlotte, NC or any place in the country by connecting you with a relocation professional in your destination of choice. Debe has created a team of professionals throughout the country to ensure that you enjoy a smooth transition to your new area. These professionals are experts in the field of relocation and can serve many purposes beyond a simple home search. The destination service is of no cost to you! Please visit www.debemaxwell.com/ for your relocation and/or your local needs.